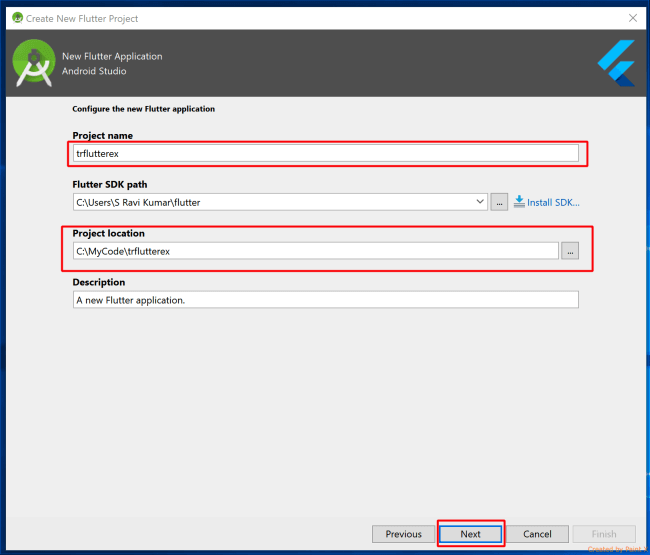 In this article, we will set up a Flutter development environment in Android Studio and execute the default code generated by the New Flutter Project template. 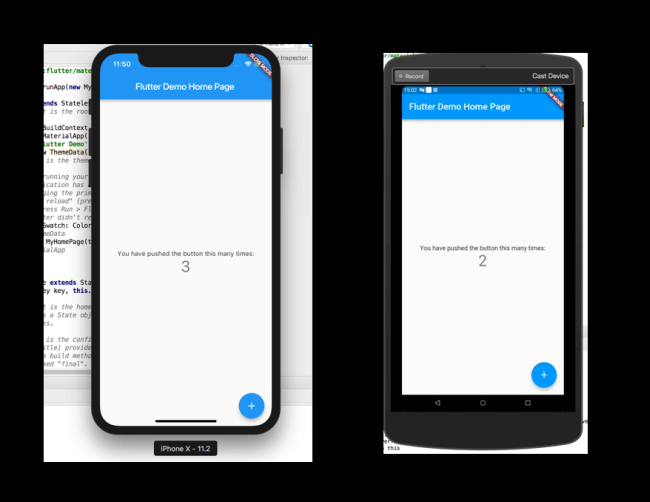 Flutter is Google’s mobile UI framework for crafting high-quality native interfaces on iOS and Android. As per the official Flutter documentation, it’s a modern reactive framework (keyword being reactive) to develop cross-platform native mobile apps using a single code base. Even though Google doesn’t say it, many people from the developer community are considering this as Google’s answer to Facebook’s React Native and Microsoft Xamarin.Forms. 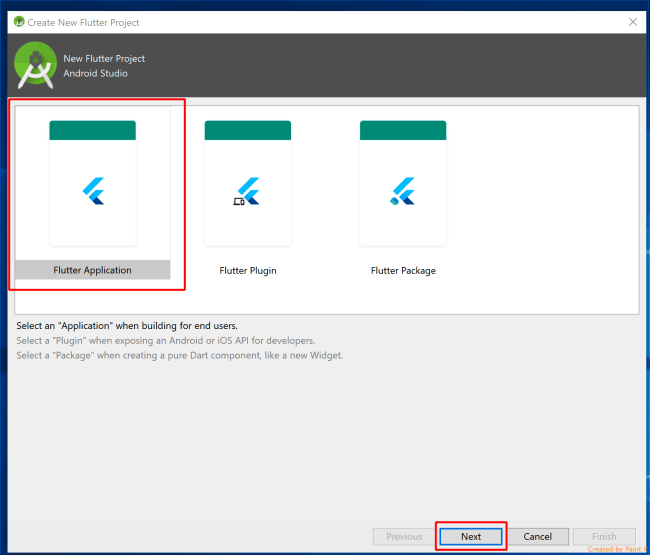 In this article, we will set up a Flutter development environment in Android Studio and execute the default code generated by the New Flutter Project template. 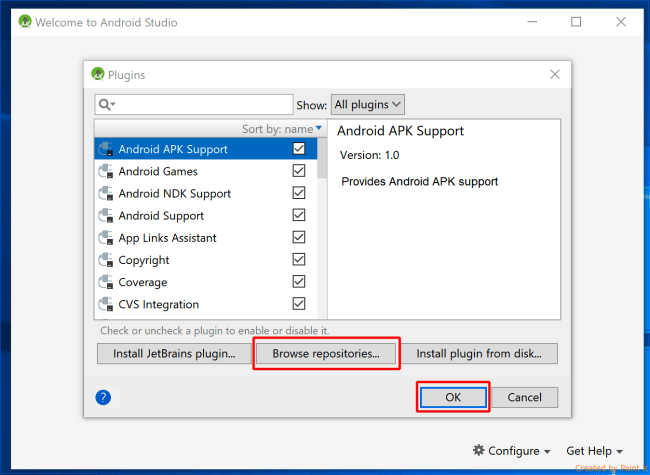 I am using Android Studio so that existing Android developers can easily start working on this, however, according to Flutter documentation there are plugins support available for Visual Studio Code and JetBrains IntelliJ IDEA IDEs also. This will ask to install Dart also, as Flutter is dependent on Dart. Select Yes for that dialog and install both. 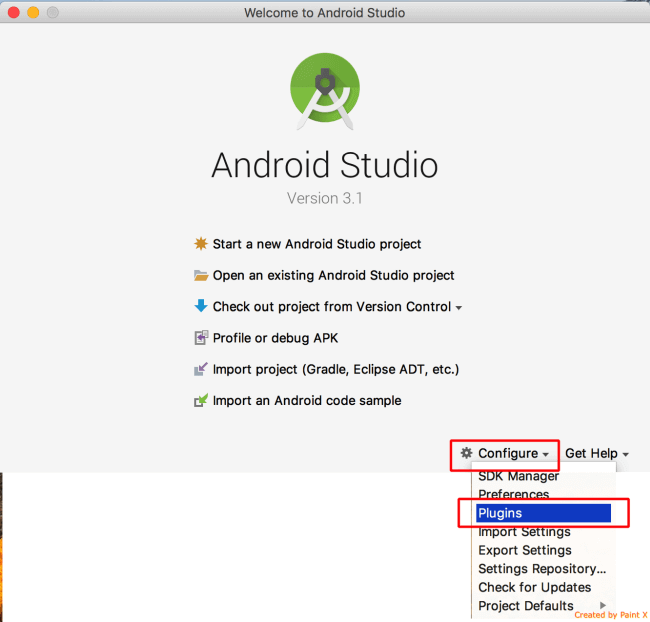 Once the Plugin installation is done it will show you message to restart Android Studio after restart and Start a new Flutter Project will appear on the welcome screen just like the following screen shot. 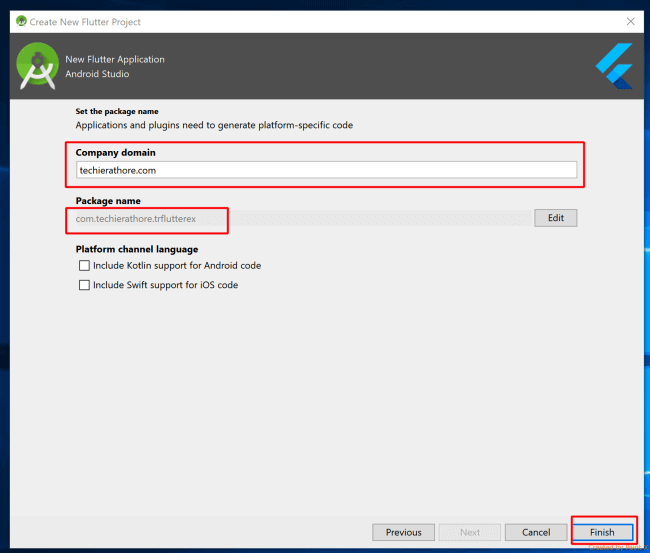 On the next and final screen of the new Flutter project wizard enter the company domain name in order to set the package name of the application and click Finish button. 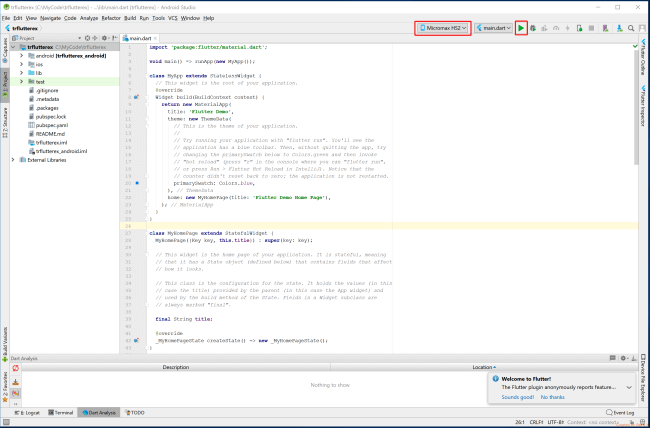 After Finishing the project creation wizard the IDE screen with default code and the toolbar will show the connected devices or Emulator along with the run button as highlighted in the below screen. Install Xcode 7.2 or newer (via web downloador the Mac App Store). Open Terminal window either by using programs or searching for it. You will get the following screen showing the progress of the installation. 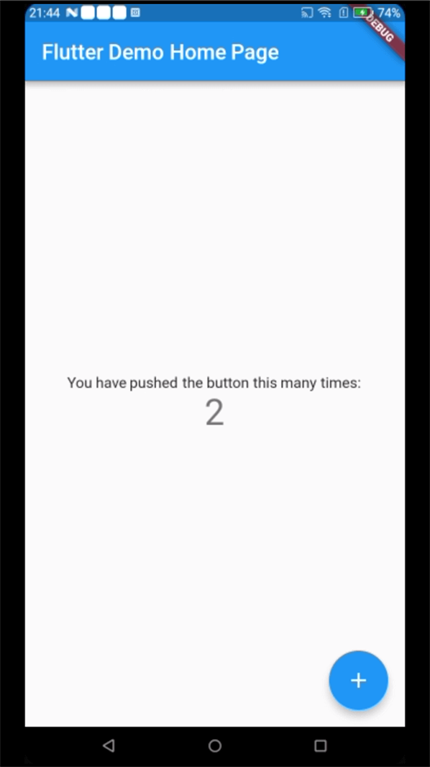 Execute $PATHcommand again which will show the list of all paths mentioned in $PATH variable and the path of your Flutter installation will be added to it like the highlighted section in the following screen. Take a screenshot of this path or note it down someplace where you can refer toit again. 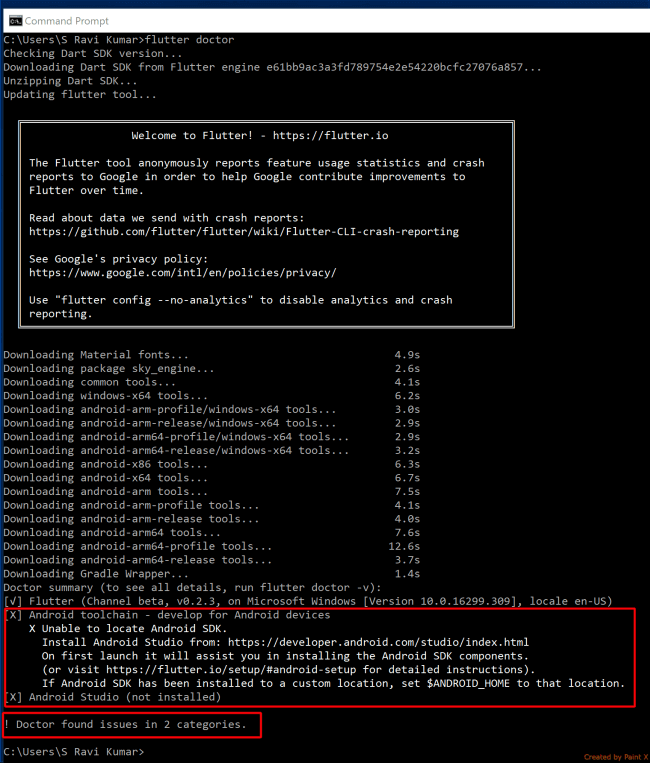 Keep on executing the commands mentioned in the result of fFutter doctor (and believe me there will be many as Flutter is still in Beta and all of the installations are done via command prompt) until you get the following message which says that flutter installation is all ok. 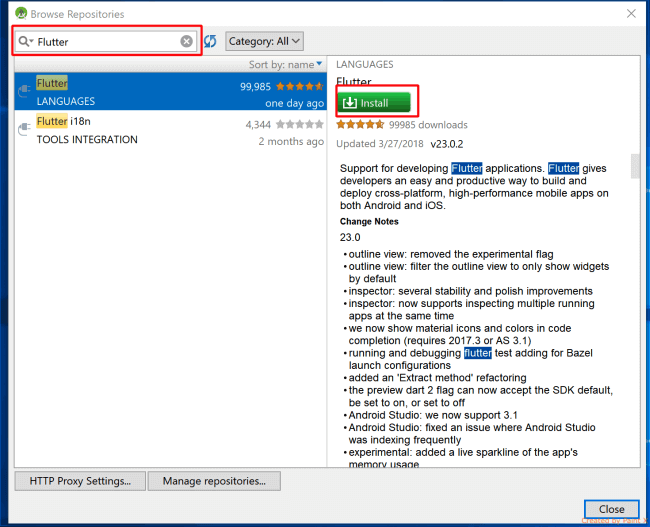 The Steps to add Flutter Plugin in Android Studio and creating New Flutter Project are exactly the same as in Windows. After Finishing the project creation Wizard the IDE screen with default code will be the same as Windows. 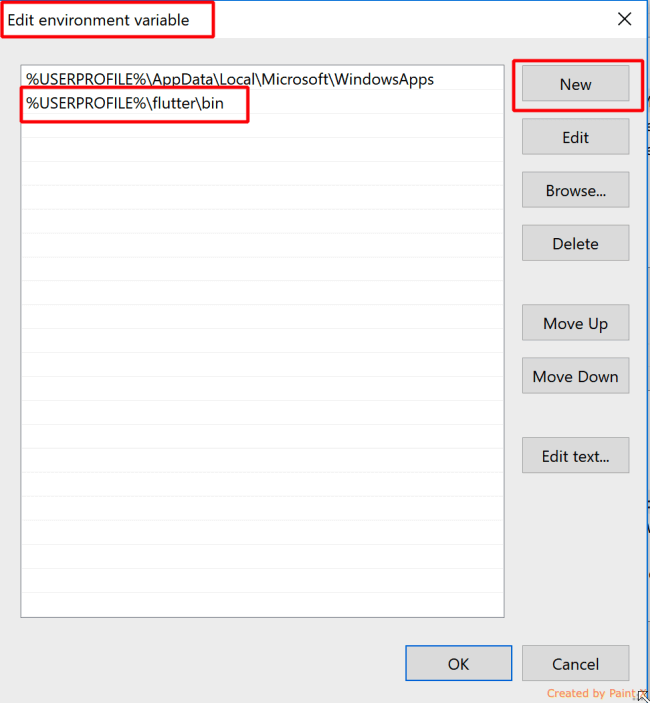 The toolbar will show connected devices or Emulator along with Run button as it does in Windows; however, if you click on the drop-down arrow of the devices option you will get an option to start the iOS Emulator and other Android Emulator like the below screenshot. 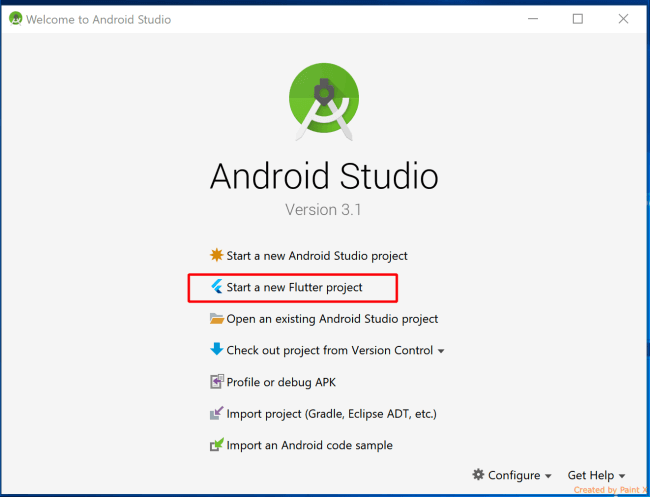 This was a simple step by step guide to install Flutter with Android Studio on Windows and Mac. This is just an introduction and I will be coming up with more blogs on developing Cross Platform Mobile apps using Flutter. 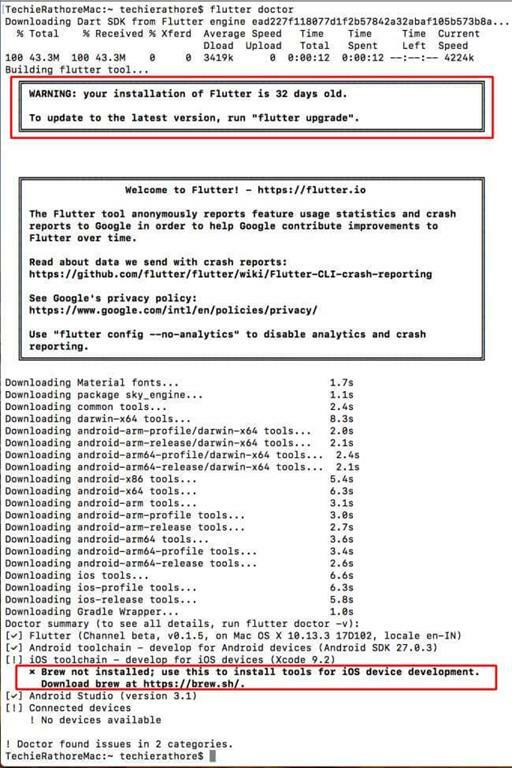 Please remember that Flutter is still in Beta and some options /commands may change as the framework evolves with time, so if you face any issues just check Flutter Official Documentation.